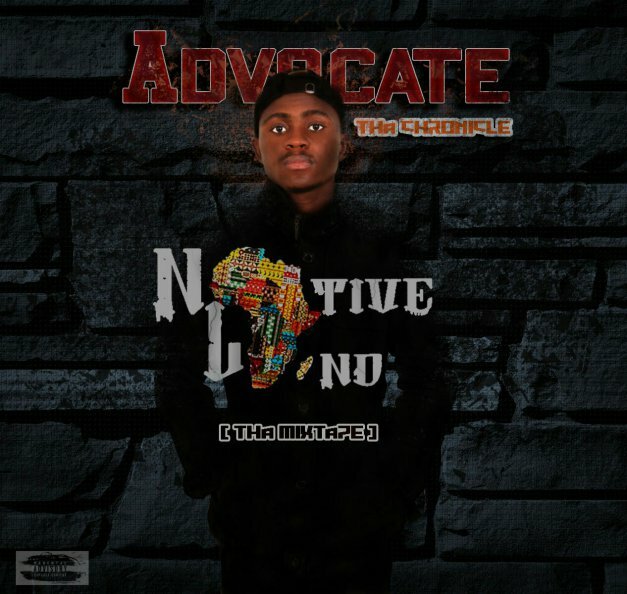 Download and Listen to this rare musical masterpiece by ADVOCATE tha chronicle. of knowledgeable and conscious lyricism complimented with unique melody. 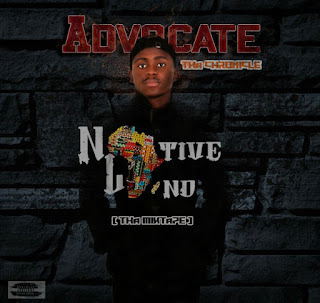 White Da Poet, Mstruff, T-shayne, Kobo, Infinite Mind, Aimz, Fiki,Toxic tha venom, TeeIce, Kobo and Wordzwar. 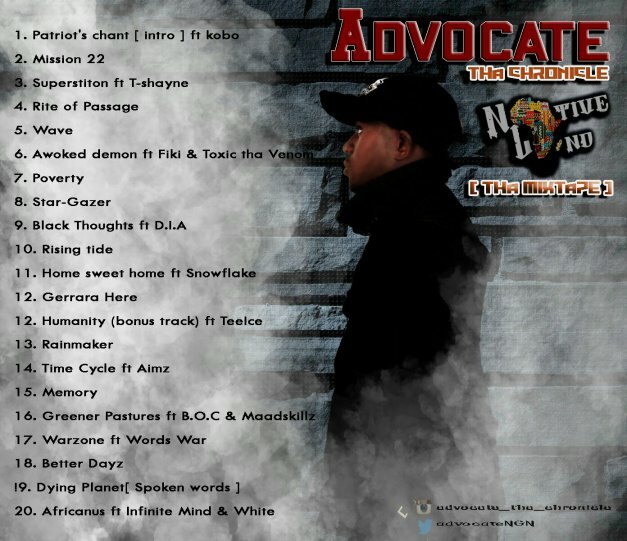 With samples from Marcus Garvey, Malcolm X, Majek Fashek and Thabo Mbeki.